Why Compliments are Amazing for Your Brain – and the World. Sometimes all it takes to brighten up our day is a kind word, a sincere praise, a grateful smile. 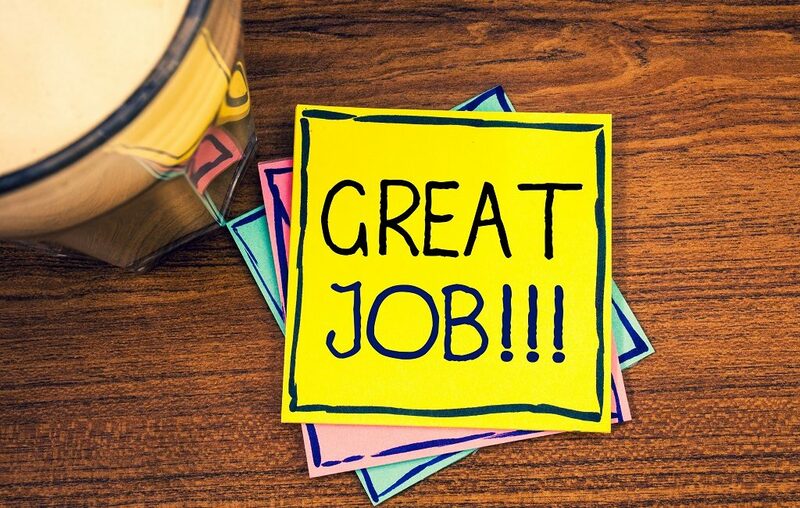 We have all seen time and again that the simple act of appreciating someone’s effort can have a huge transformative effect on their attitude and productivity. Ever wondered why? That’s because compliments are powerful, they have the ability to change the very fabric of our brains in ways that are not always apparent but goes a long way. They not only make us feel good but also significantly impact memory, learning, motivation and other cognitive functions. It’s National Compliment Day on January 24 in the USA, and we take this opportunity to talk about the very real impact compliments have on our brain and why you should compliment people more often. What happens when we receive a compliment? Well, it feels a lot like when we receive money or a reward. Recent research in neuroscience has shown that receiving a sincere praise activates the same areas in our brain that are activated when we receive money or romantic attention – the ventral striatum and the ventral medial prefrontal cortex. It also said to release the neurotransmitter Dopamine which is associated with motivation, focus, and positivity. In other words, it activates the reward circuit in our brain. When we receive a compliment for something we have done, it is essentially a signal to our brain saying ‘do it again’. Your brain is encouraged to repeat the same task to be able to feel that rewarding ‘high’ again and again. Compliment also helps us with learning by improving long-term memory. Recent researches suggest that when you are praised after learning a new skill, it affects the part of your brain that is responsible for memory consolidation and building of long-term memory that goes on during your deep sleep. When our brain associates the positive feeling with newly learned material, we tend to remember those materials a lot better. Studies after studies show that offering compliment works better at improving the performance of other people than criticism or negative remarks. Praise activates the reward circuit in the receiver’s brain, heightening their focus and motivation. When you praise someone, that person is experiencing a good feeling in the resultant surge of Dopamine. This is something their brain wants to experience again and again, so they become more willing to complete a hard or stressful task than they otherwise would. Whereas when you are criticizing someone, it is giving their brain an adverse reaction. The stressors are rising, pulling up anxiety and danger-response elements like cortisol. Brain’s natural reaction is to shut down the source of the stressor, so there is a much higher chance of disregarding when you offer criticism, even valid ones. Instead of criticizing bad behavior, rewarding desirable behavior has been proven time and again a much more effective strategy for teaching children and rehabilitating addicts and criminals. Compliments are wonderful. They are free, easy to offer, and goes a long way in building trust and friendship. But giving fake compliments or insincere praise can actually have the opposite effect. Very few people are blind to their own limits and capabilities and will be able to discern between praiseworthy and non-praiseworthy actions. While an insincere praise can still feel momentarily good because of the Dopamine surge, it is bound to create distrust, and distrust heightens our danger-response instincts and releases cortisol, therefore nullifying most of the positive effects of the praise. So this National Compliment Day, let us resolve to open our hearts and eyes, find the good in people around us, and appreciate them a bit. For as science shows, a little appreciation goes a long way in making people feel and act better. So praise away, for a better and healthier world!